Planning your garden is a bit like planning to buy a new pair of shoes. You know you want to get black pair of shoes, but you also know that you have a whole lots of options. Heeks or no heels, and how high, straps or no straps and how wide….. it’s like that with planning your garden. 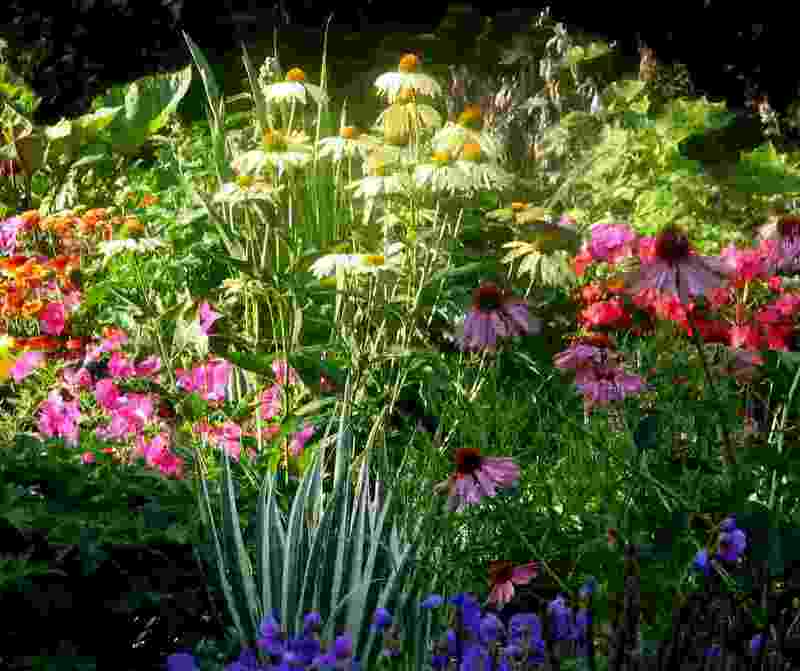 You probably know basically what you want – whether it is a flower garden, a combination of vegetable and flower beds, spots of shrubs with edges of blooms…. and then you go visit your local garden centre and realize just how many options you really have. The best thing to do is to assess of what you already have, what you want to have and start making a plan. That includes drawing the outline of your garden and marking what you would like to put in each area. It may seems like a lot of extra work, but it will turn out just the opposite – believe me. Without a plan, you are likely going to get a bit frustrated and wonder why what you had in your head when looking at your options while in the garden centre is not working out the way you wanted it to. Best way to do evaluate what you already have is to go into your garden with a pad of paper, drawing out positions of existing flower beds, trees and shrub and marking spaces where you already have perennials coming back to life. Then have a nice fresh cup of coffee, sit in your garden and visualize what you would like to add in various spaces, what you would like to move around, change, eliminate, etc. – and mark it all down on your writing pad. You don’t need to be too specific – let’s say you have some shrubs that could looks much better with some colour around them Visualize what would look the best – something red. something golden or a combination. One thing I have learned some time ago is that good way to plan colours in your garden is to plant mirror images – for example – if you put specific plant that blooms red on left side of the garden, plan to place the same red on the opposite side of your garden. It really works and makes planning your garden easier and the results will be a whole lot more satisfying. Type of soil: is it more sandy or is it nice and black? and where are the wet spots and where are the dry spots? Then choose your plants accordingly. Permanent structures: Nothing you can do about where your house is – or the garage or the tool shed. But this also includes tree – take a good look around and consider if you need to remove some or trim branches to allow you to plant more plants that require sunlight. Walkways – maybe you have some and don’t like them where they are or what they look like. There is always time to do something about it and the best time is when planning your garden in the spring. It is not easy to remove a walkway but it can be done. Privacy and shelter needs: If you have a fence already, consider using it to plant some flowering vines to add to the feeling of privacy. If you don’t have your yard fenced, it should probably be the first thing to think about doing – before planning to plan anything. Whatever you decide to do -don’t be intimidated by the beautifully designed gardens you see elsewhere or the ones you see in gardening magazines or books. Use rhese to get motivated and get creative ideas for your own garden instead – other gardeners do just that! The point to remember is that developing your own garden, transforming it into a beautiful place to relax in an enjoy the beauty gives you a great deal of satisfaction and a feeling of great accomplishment! Good Gardening to all of you and as always, your input is very much welcomes and appreciated!